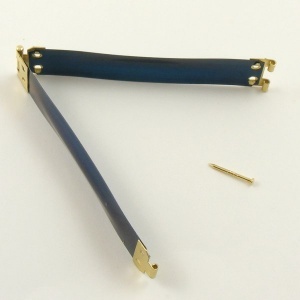 You can use these sprung steel purse frames to make little squeeze purses out of thin leather, oil cloth or fabric. It's a great quick project for using up small pieces of leather and fabric and if you make handbags, a squeeze purse made from the same fabric makes a lovely finishing touch! 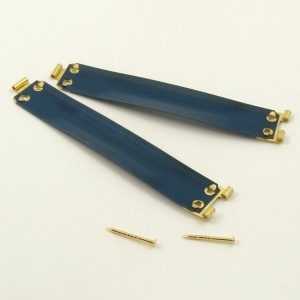 These purse frames measure 9cm (3 1/2") from end to end and 15mm (5/8") deep, and come in a pack of 5.